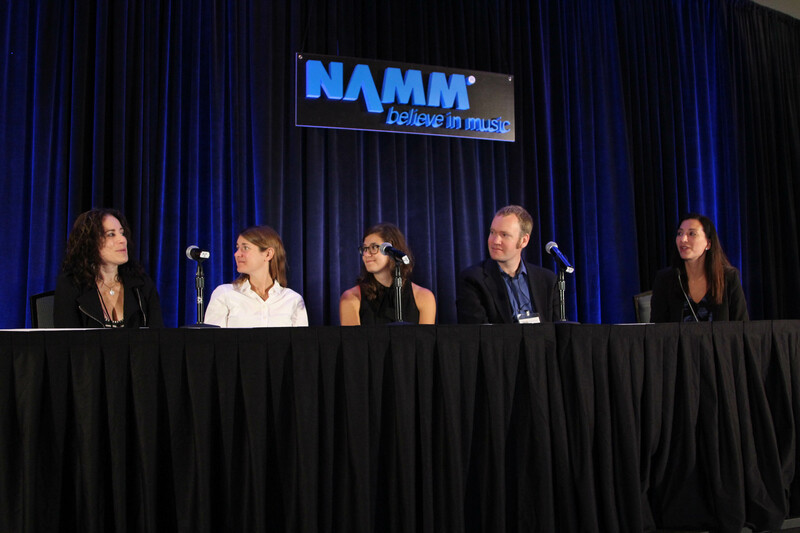 The Recreational Music Making Forum during Summer NAMM addressed opportunities in local communities and the best ways to reach out to customers to engage them in the joys of making music. In a panel moderated by Antoinette Follette, Editor-in-Chief of Making Music Magazine, panelists Aaron Friedman and Amy Garapic of Make Music New York, and Lora Bodmer, NAMM Director of Public Relations, shared expert tips. "Make Music Day is all about sharing the joy of playing and instrument, singing, making music yourself," says Friedman. "It’s not about just showing up and listening, it’s about actually doing it yourself. And that’s what the musical instruments industry is about. There are dozens of NAMM Members now participating—small retailers who really appreciate the opportunity to bring strangers, new people into their stores, to large manufacturers who really see this as a way to grow their whole segment." Attendees heard from NAMM Members who participated in this year’s National Music Day on June 21, hosted concerts and other “just play music” events, to get new ideas and plan ahead for next year's Make Music Day on summer solstice, June 21, 2015.